This project examines how weightlessness in virtual space can affect the perception of the human body on a person. 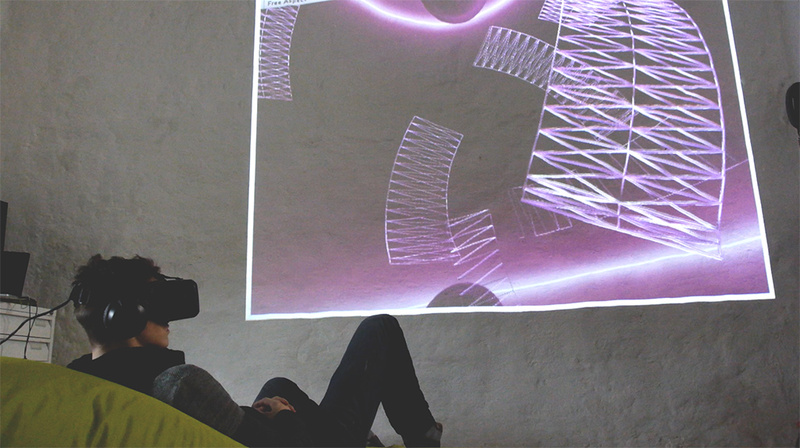 By putting on a VR goggle, the user is placed in a virtual reality, where he moved together with other elements in circular orbits around an axis. Vertigo and loss of orientation in space should be caused by using this rotation in all directions. As soon as you let up on the soft environment and the conditions of weightlessness, it can be relaxing. Dive in to the weightlessness and forget the everyday life for a while, after stressful work.